Helloooo !~ Bagaimana pengalaman liburan lebaran kalian? Selama lebaran ini aku terkena flu dan demam selama 1 minggu sehingga aku tidak terlalu nyaman menikmati liburan. Jangan lupa untuk selalu menjaga kesehatan ya! Nah, pastinya selama liburan lebaran gini ga lengkap kalau ga dandan cantik buat foto-foto maupun ketemu keluarga lainnya dong. Kali ini aku mau sharing 3 lipstik Etude House Dear My Blooming Lips Talk dari LUXOLA.co.id yang cocok untuk mempercantik dirimu selama liburan lebaran ini. Various girlish-pink colors inspired lipstick with lightweight and soft texture. Vivid color on lips: Feather creamy gel by fumed silica gel texture for soft and outstanding colors to express clean and clear lips. Smooth wear: It provides comfortable and smooth wear with relaxed fitting complex. Smooth poder system is applied to make creamy-soft lips. Rich nutrition & moisturizing: Moist Liquid Paste system is applied to hydrate lips with Hydro-moist complex. Draw the lip line clearly by a lip brush. Swipe on lips, make sure the color glides onto lips evenly. For a glossy effect: Apply a touch of clear gloss over your lipstick for a beautiful pout. For a natural look: Tap on lips several times. Berikut adalah ketiga warna yang aku pilih! 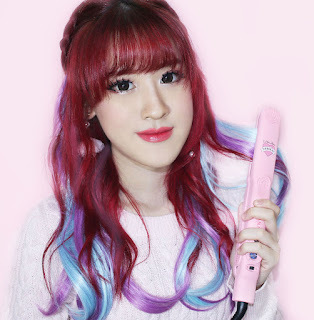 Aku memiliki waktu yang sulit setiap memilih produk Etude House karena mereka selalu mempunyai warna dan packaging yang superr girly dan cute ! Its application is extraordinarily nice and easy, and the color is quite malleable. You can apply it truly easily and almost as lightly as a lip balm, so this is not a real handicap to bring it with you from time to time. It’s unbelievable smooth, it just slides along the lips really easily and leaves a moist and non-sticky sensation on the lips.On the other hand, if you have chapped lips, I suggest exfoliating and using balm before applying this lipstick, or else you’ll end up with ugly looking lips.It has an awesome coverage and it’s amazingly long-lasting even if it doesn’t state so. The colour pay off is absolutely amazing! It’s a bright Barbie pink. At first, after application, its seems glossy and sheer, but once it dries it is more of a matte finish and it lasts all day long. It doesn’t have any perfume, which is strange since I’ve read in other reviews that it does smell, mine just doesn’t. 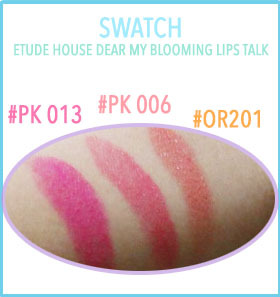 The product itself looks like a Cheerful pink with a hint of peach, but once on my lips, it looks like a bright pink. It is a beautiful shade and good pigmentation too. All formulas are pretty consistent. they glides nicely, and feels light on lips. The cute effect I was looking for is here, without overdoing it. I hope this has helped you decide which one to purchase first. I am in love and I know I’ll probably end up with the whole set soon. I am providing all of my followers with a 15% off LUXOLA.co.id Coupon code. All you have to do is fill in the coupon code, BLX-MIHARUJULIE to get 15% off your first order. Don't forget to use this coupon code before checking out of your purchase. This code expired on 31st August 2015. So hurry up to get it. These shades are so gorgeous! My favorite is #PK 006. Aww I love this and the packaging is so cute!!! Amazing lipsticks! I love the packaging! great post, you are very pretty! Great color :) Wonderful post..Keep In touch dear..
You look so classy.These shades are all lovely! Omg how cute is the packaging! 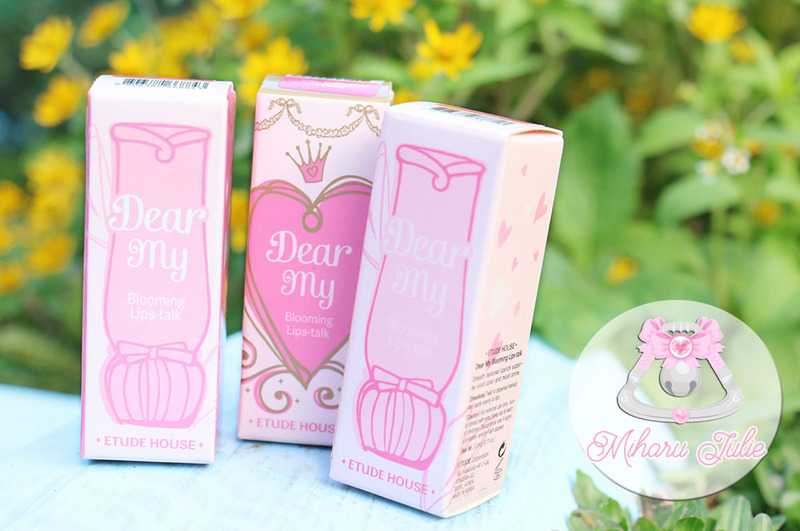 i love etude house, they make pretty packaging all the time! Those lipstick shades are so pretty!! I have to shop at Etude House more often! Beautiful shades and lovely packaging!!! Cool review Miss! Thanks for sharing! I love this brand, so lovely product! I love the shades of lipsticks. You look beautiful:). These products are really fantastic! The lipsticks are so pretty. Amazing lipstick ! I have it too.. loving it..
Really amazing pics , you are so beautiful and glam ! 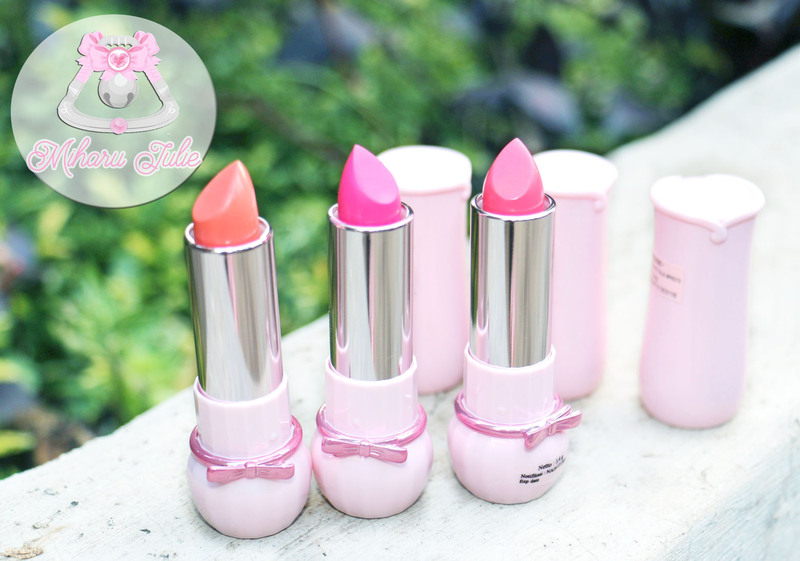 These lipsticks are very beautifull! The packaging is so cute! Definitely makes me want to buy some of their products just to display them.